The Spey Valley is an extrordinarily cold Glen through which the mighty salmon river the river Spey flows. On either side the banks are festooned with birch trees some of which stand alone isolated from their brothers which makes their shapes stand out from the confusion of trees en mass. 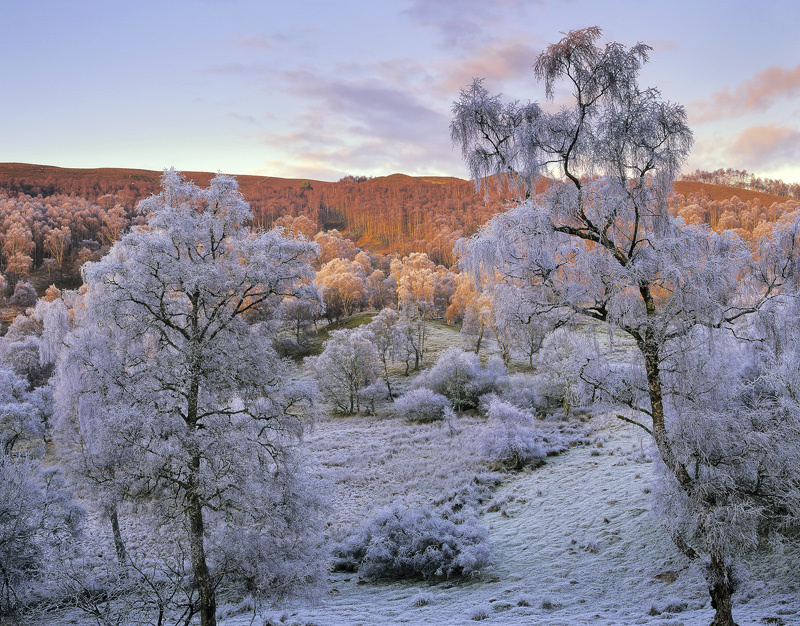 birch are very densely twigged so hoar frost quickly and dramatically forms on them such that they turn white and pick up the reflected colour of the sky above. A warm slice of sunlight painted the hills beyond to give a superb cool/warm colour contrast that I found very appealing.